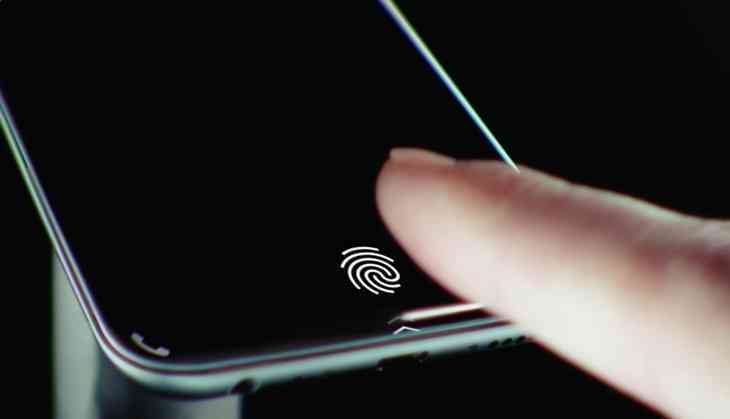 Home » Science & Technology » Vivo to beat Apple to under-display fingerprint scanners, but will it matter? At the Mobile World Congress (MWC) Shanghai, chipmaker Qualcomm announced a new generation of fingerprint sensors. These sensors can work underneath the phone's display - through metal and glass - and even underwater. The first devices with this feature are expected to start retailing by the summer of 2018. Furthermore, Qualcomm is providing samples to phone manufacturers for working with by October of this year. With edge-to-edge displays becoming commonplace these days, and with people disliking the positioning of the fingerprint scanner on the back (as in the Samsung Galaxy S8), this upcoming feature is a much awaited one. In fact, Samsung tried its best to get this feature in the Samsung Galaxy S8 that launched in March, but couldn't mass produce displays with this feature. There are rumours that it won't even make it in time for the Galaxy Note 8, which will be unveiled in late August. At MWC Shanghai, Qualcomm's newest ultrasonic fingerprint technology was demonstrated on a Vivo smartphone, showcasing how a truly bezel-less phone could be brought to life. Vivo's smartphone showed how a fingerprint scanner could be embedded behind the metal shell on the back of the phone, under the display on the front or even in the frame of the phone. Furthermore, Qualcomm has said that the technology can be used to detect both heartbeat and blood flow. This new technology from Qualcomm uses ultrasonic waves that penetrate the material of the display. Essentially, this solution doesn't require physical contact with the fingerprint module. So if one were to have a dirty or sweaty finger, it'd work. It even works underwater. The tech was showcased on a modified version of Vivo's X Play6 smartphone. As showcased in multiple videos doing the rounds on the internet, this solution isn't ready for mass production. It worked, but with lots of delays and many retries. While OnePlus 5's fingerprint scanner can unlock in 0.02 seconds, the Vivo phone was nowhere near that. As Engadget's Richard Lai points out, “I found the fingerprint recognition speed to be noticeably slower -- about one second between the first touch and entering home screen -- than the near-instantaneous unlock that I'm used to on most recent smartphones". In lieu of the MWC display, articles across the internet have been talking about how Vivo has beaten Apple to the under-display fingerprint scanner. That is not necessarily true. Vivo has merely demoed an ultrasonic sensor at MWC Shanghai, and, as many have said, this is not even close to making a cost-effective phone that can be mass produced at a Samsung/Apple level. Companies, like Xiaomi, have been trying to get this feature in their phones since 2014. The simple truth is that it isn't very easy. Apple has a dilemma on its hands before it unveils its tenth anniversary iPhone later this year. Strong rumours are pointing towards Apple's iPhone 8 being delayed by two months as the company frantically tries to incorporate the fingerprint scanner into its next flagship. It's a no-brainer that the phone will feature an all-screen OLED panel, similar to the Samsungs and LGs, but will that physical button, the fingerprint scanner, be on the back of the phone, or under the display? Apple has two options going forward. Either give consumers a slow but conveniently located sensor under the display, or offer them a super-fast sensor that is located in an awkward position on the back of the device. Philip Michaels of Tom's Guide reports that Apple is looking at three different solutions to the problem. "It could feature a cover glass cutout for the fingerprint reader; it could feature a pin hole in the front glass to allow optical or ultrasonic fingerprint sensing, or it could try integrating the sensor into the display itself." The world’s most accurate Apple analyst, Ming-Chi Kuo, in a research note from KGI Securities, has delivered his predictions for the upcoming device. “The OLED model will also come with a virtual Home button, though the button will not support fingerprint recognition,” he opined. Apple fans are not happy with the moving of the fingerprint sensor to the rear of the phone. After all, Apple may just ditch the fingerprint sensor completely in favour of facial recognition. Apple second, but does it really matter? Whether Vivo beats Apple to the punch doesn't really matter. It's the matter of when Apple or Samsung gets to mass producing it that is truly going to mainstream the feature. That won't be until 2018, assuming Apple goes with an awkwardly placed fingerprint scanner. Apple may want to do something grand for their tenth anniversary, but it will not want to delay the upcoming iPhone’s entry into the market. Vivo may beat Apple to the punch, but all eyes will be on the Cupertino-based company. After all, they removed the headphone jack from their iPhones, and it seems others are reluctantly following in their footsteps.